Since I explain to my customers that is a good idea to capitalize all data and knowledge, SharePoint can help your teams to do this. Let's focus on the knowledge part 🧠 and I will explain to you why and how to implement a TOC and how to add your TOC into your Wiki pages. 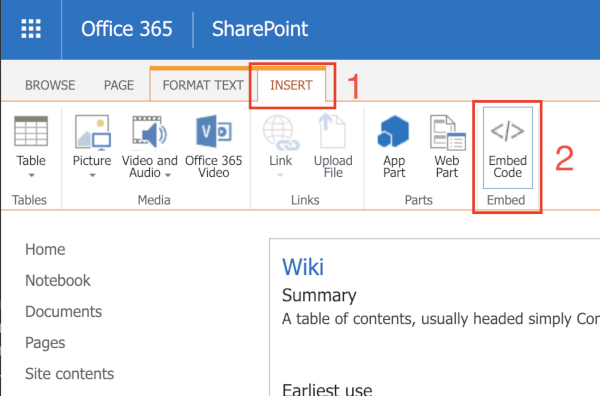 This tutorial only works for the Wiki pages based on the classic experience of SharePoint. Why implementing a TOC into your SharePoint Wiki page? One of my customers has a dev team that quickly adhered to the idea that consists in capitalizing all of guidances of development into SharePoint Wiki pages. 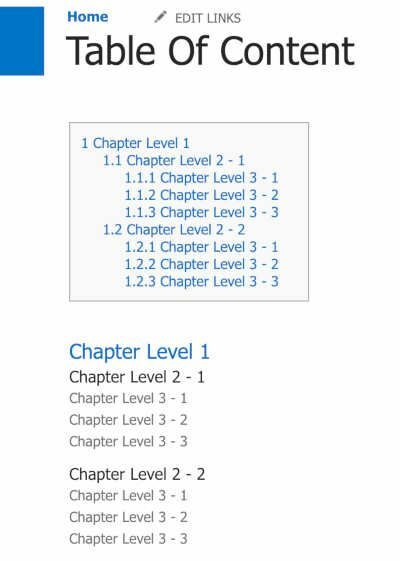 Sometimes, some guidance pages have a lot of points and chapters that make the reading difficult, especially when a developer is looking for a particular chapter. Therefore, a TOC at the top of page allows the reader to go directly to the by clicking on it. It can be really useful, isn't it ? Even though SharePoint does not provide this kind of feature, it is easy to implement this kind of solution. How to implement a TOC into your SharePoint Wiki Page? Note: I deliberately added a lot of comments for your comprehension. You can remove them if necessary. The most important thing to note is the ID. Note: you can update your page content without changing anything of your TOC; This one is dynamic and reloaded every time the page is loaded.